An index card binder for daily journaling notes, a recipe card holder, or your nursing student flashcards. With the set of index card tab dividers that are included, you could also organize the binder into different sections for your needs. 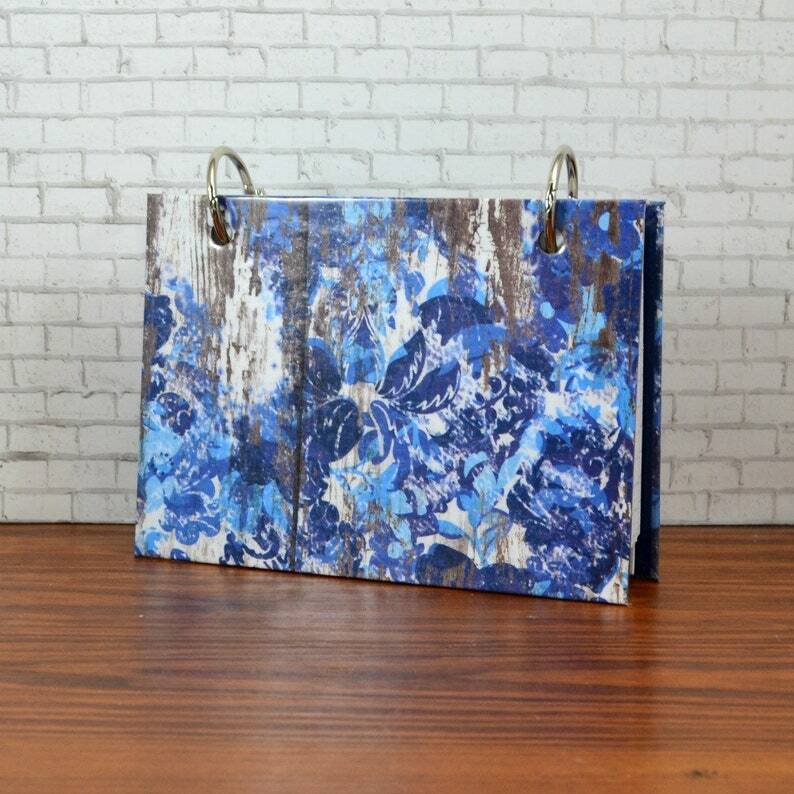 This index card binder is created with care using sturdy chipboard covered with designer papers. The binder is then protected with a glossy laminate applied over top and then bound together with two 1" book binder rings. Included are 50 - lined index note cards and 5 dividers to separate your functional designer journal. The tabs are also covered with laminate and left blank for you. I have found that using a permanent marker works great for the tabs. It can work like a dry eraser to write on the laminated tabs. Just rub off (with a little pressure), if you make a mistake and rewrite. A fantastic way to keep my cards. Love it! cute! fast arrival. great person to work with. Well packaged. Very fast arrival. just beautiful! well packaged. timely arrival. I'm thrilled! If you are not completely satisfied with the item for any reason, please let me know within 3 business days of receiving it. I will do everything I can to make it right for you. I will happily exchange/refund the product if it is returned in the original package and condition. Exchanges will be allowed on equal or lesser value items. I will issue a refund of the item, minus the initial shipping charge. Return shipping costs are the responsibility of the buyer, so please return item(s) in original packaging. Don't forget to add *insurance* on the return for a safe arrival. All items on CLEARANCE, SALES (reduced price) and CUSTOM ORDERS are final sales. These items are not returnable or exchangeable! Most orders, with the exception of custom or made-to-order orders, are shipped within 1-3 business days, Monday-Friday upon full clearance of payment. Your order will be shipped to the address on file with your payment processor, Paypal or Etsy. I do use recycled packing materials for some items to help out the environment and to help try to lower shipping cost. To complete your purchase, you must provide me with certain information (which you authorized Etsy to provide to me), such as your name, email address, postal address, payment information, and the details of the item that you are purchasing. •	as needed to provide my services, such as when I use your information to complete your purchase, to settle disputes, or to provide customer support. •	Compliance with laws. I may collect, use, retain, and share your information if I have a good faith belief that it is reasonably necessary to (a) respond to legal process or to government requests (b) enforce my agreements, terms, and policies (c) prevent, investigate, and address fraud and other illegal activity, security, or technical issues or (d) protect the rights, property, and safety of my customers or others.